The perfect autumn flavor blend. In the category of autumn challah flavors there is pumpkin challah and even sweet potato challah. But I wanted to try my hand at combing another favorite fall flavor into challah bread: butternut squash and fresh sage. Admittedly I was a bit nervous to see how the addition of butternut squash would affect the challah. I have made pumpkin challah many times, but never before had I added butternut squash. I am happy to report that not only is consistency of this dough just perfect, but the color is beautiful and the taste even more incredible. 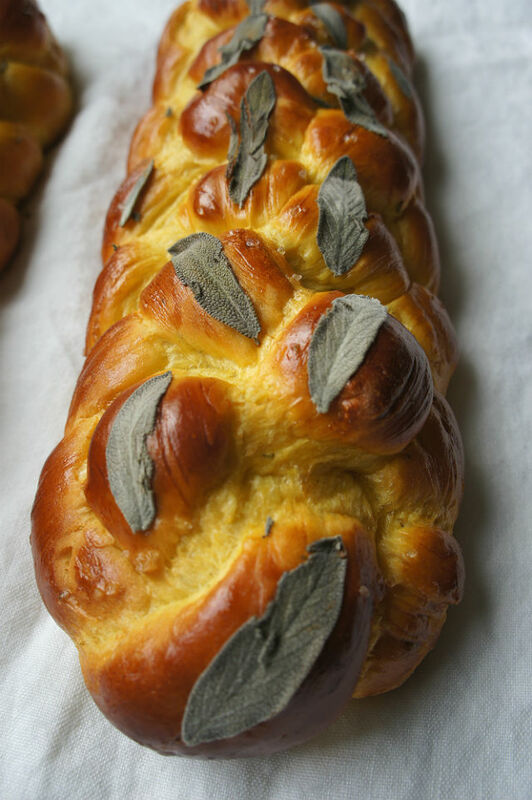 You can swap out fresh sage for dried sage, but I really enjoyed the flecks of sage leaves throughout the challah dough, and the addition of some fresh chopped sage on top along with thick sea salt really makes this bread even more special. This challah would also translate for a wonderful savory stuffing. Place vegetable oil and fresh sage leaves in a small saucepan over low-medium heat. Heat through until sage becomes fragrant, around 5 minutes. 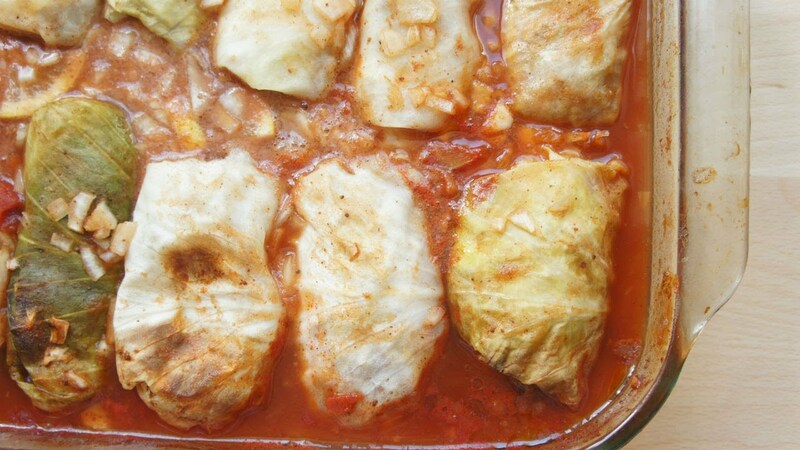 Remove from heat and allow to sit 25-30 minutes. Strain sage leaves but do not discard. Finely chop leaves. In a large bowl or stand mixer fitted with the whisk attachment, mix together 1 ½ cups flour, salt, butternut squash and sugar. After the water-yeast mixture has become foamy, add to flour mixture along with oil and chopped sage leaves. Mix thoroughly. Add an additional 3 cups of flour, 1 cup at a time, until dough is smooth and elastic. You can do this in a bowl with a wooden spoon, in a stand mixer with the dough attachment, or once the dough becomes pliable enough, on a floured work surface with the heels of your hands. Dough will be done when it bounces back to the touch, is smooth without clumps and is almost shiny. Place dough in a greased bowl and cover with damp towel. Allow to rise at least around 3 hours. Preheat oven to 350 degrees. 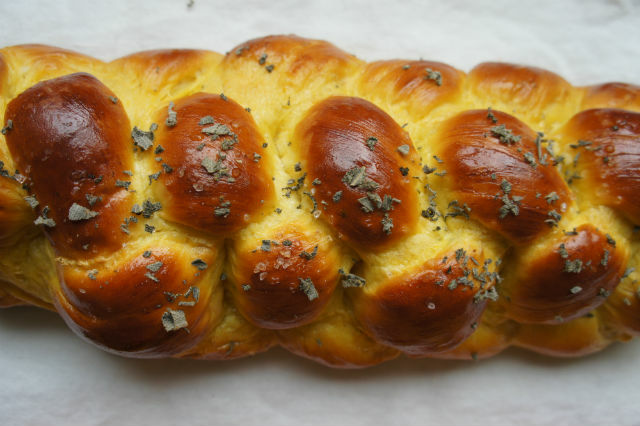 Braid challah into desired shape. Allow challah to rise another 45-60 minutes, or until you can see the size has grown and challah seems light. This step is very important to ensure a light and fluffy challah. In a small bowl beat 2 egg yolks with 1 tsp water. Brush egg wash liberally over challah. Sprinkle with chopped fresh sage and thick sea salt. If making one large challah, bake around 27-28 minutes; if making two smaller challahs, bake 24-26 minutes. A low-carb dish the whole family will enjoy.